A.C. Diomidis Argous player received a direct disqualification in EHF Men's Challenge Cup semi-final match. Disciplinary proceedings were opened against Nikolaos Samaras of A.C. Diomidis Argous after the player received a direct disqualification in the last minute of his team’s EHF Men's Challenge Cup semi-final match against Maccabi Tyrec Tel Aviv on Saturday April 21 2012. The panel of the EHF Court of Handball found that the action of a Nikolaos Samaras was an unsportsmanlike conduct deserving further sanction. A one match suspension was imposed on the player, on the basis of article B.1 of the EHF List of Penalties. The club AC Diomidis Argous filed an appeal against the decision of the EHF Court of Handball. The EHF Court of Appeal decided today (Friday 27 April) to reject the appeal and upheld the first instance decision. 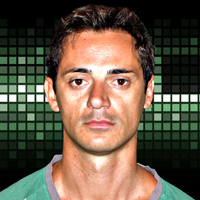 The player will therefore not be eligible to play for A.C. Diomidis Argous in the return EHF Men's Challenge Cup semi-final match taking place in Loutraki on 29 April 2012.